Several classrooms have been equipped with Epson Brightlink Projectors. 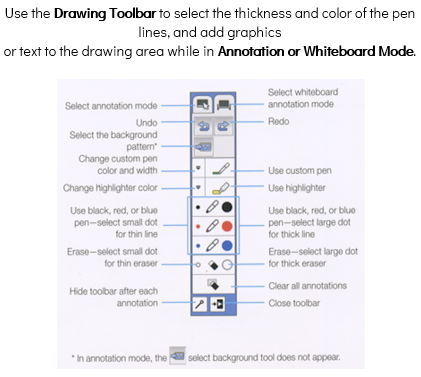 This serves as a guide to instruct users on how to use the projector. Login to the desktop with your UW-Stout Credentials. 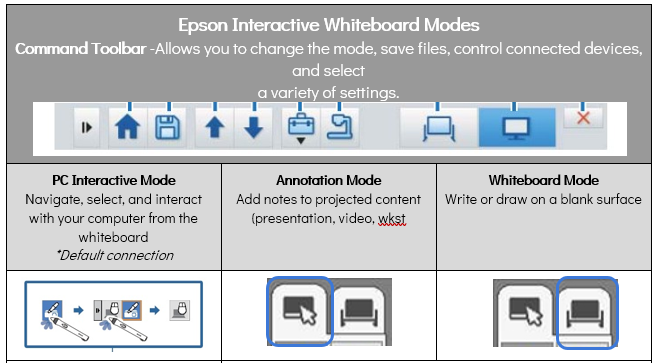 ● No more SMART floating tools outside of SMART Notebook, use Epson Annotation Mode to write on screen outside of SMART Notebook.